A four-legged visitor will be the honored guest at this year’s Cider Social celebration at the Little Compton Historical Society on Monday, October 9 (Columbus Day) from 1 to 4 pm. For the fourth year the Society has expanded its annual Cider Social to include local vendors, a Cow Pie Bingo Fundraising event, and a booth selling vintage and antique items donated by the community. As usual the Cider Social is free and open to the public. There will be complimentary cider and donuts while supplies last, free tours of the Wilbor House Museum, a candy haystack, corn husk-doll making, and the last opportunity to see this year’s special exhibition, “Little Compton’s 20th-Century Artists” all at no charge. The special exhibit ends that day. On October 9, the Society will also be hosting their annual antiques sale. Anyone with antique or vintage items to donate to this sale is asked to do so before the ninth. Local vendors will be on hand selling variety of hand-crafted items and the Historical Society’s museum shop will be open offering a variety of local history books and gift items. New vendors are welcome and should call 401-635-4035 to reserve a spot.The fee is $20. The highlight of the day will be the Cow Pie Bingo event taking place between 3 and 4 pm. Oreo, a Belted Galloway, will return for his second year of Cow Pie Bingo. Oreo will be accompanied by his farmer, Pete Dellasanta of Pete’s Farm. Pete, who began his own farm in high school and is now a college freshman, will lead Oreo onto a gridded field promptly at 3 PM and the first square in the grid to receive a cow pie will be the winner. Tickets corresponding to each square on the grid are on sale now at the Historical Society for $10 each or three for $25 and will also be sold the day of the event until 2:55 PM. The holder of the winning ticket will receive a $500 prize. All proceeds from the event will benefit the Historical Society. Pete and other judges will be on hand to make the final call determining the winning square. If no cow pie is deposited before 4 PM the judges will draw the winning ticket from a hat. Volunteers are needed to help with the event. Anyone interested in volunteering or in purchasing a vendor’s spot is asked to call the Historical Society at 401-635-4035. An Evening at Brownell Farm – Call 401-635-4035 to reserve your ticket today! 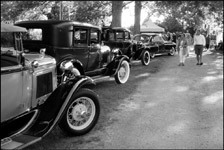 The Little Compton Historical Society is proud to partner with Preserve Rhode Island and Ferguson & D’Arruda Antiques to present the Little Compton Antiques Festival on the grounds of the Wilbor House Museum and to host, for the first time, a Classic Car Show featuring approximately 30 vehicles. 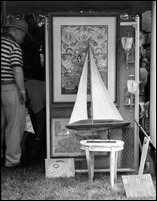 Antiques Festival Preview Party – Fri., Aug. 4 from 6 to 8 pm. Antiques Festival & Classic Car Show – Sat. Aug. 5 from 9 to 4. 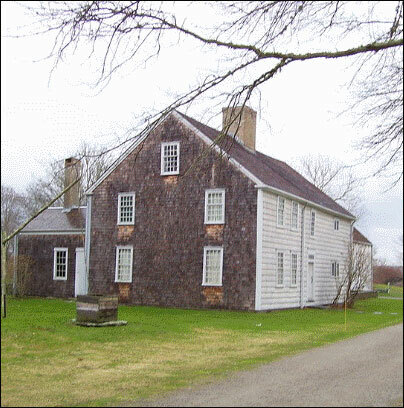 Proceeds from the festival will benefit both the Little Compton Historical Society and Preserve Rhode Island. The Antiques Festival kicks off with a Preview Party on Friday evening featuring a sunset supper, complimentary beverage, live music and early buying privileges. Admission to Saturday festival included with Preview Party ticket. Antique or vintage donations for the sale are welcome anytime before the event. Spite Tower Social – Tickets on Sale Now! community event benefit the Little Compton Historical Society. $30 per person — Enjoy two complimentary drinks and a picnic supper on the lawn. Reservations required by July 25.